I now have reason to believe that our glorious future may already be in the past. I discovered this at my public library where, surrounded by lifetimes of knowledge bound in sacred tomes, I scour magazine headlines in peace. “The Future of the Car: How the Automobile Is Becoming More Than Just a Vehicle” promises that the copywriters at Popular Science know how to use a thesaurus effectively. The headline also declares that these conveyances are “Social, Self-Aware, Connected.” I hope that means my roadster will actually add me back on Google +! But the same cover whispers, “People are gullible. Machines are smart. That’s a problem.” Um, hello? That’s not a problem. 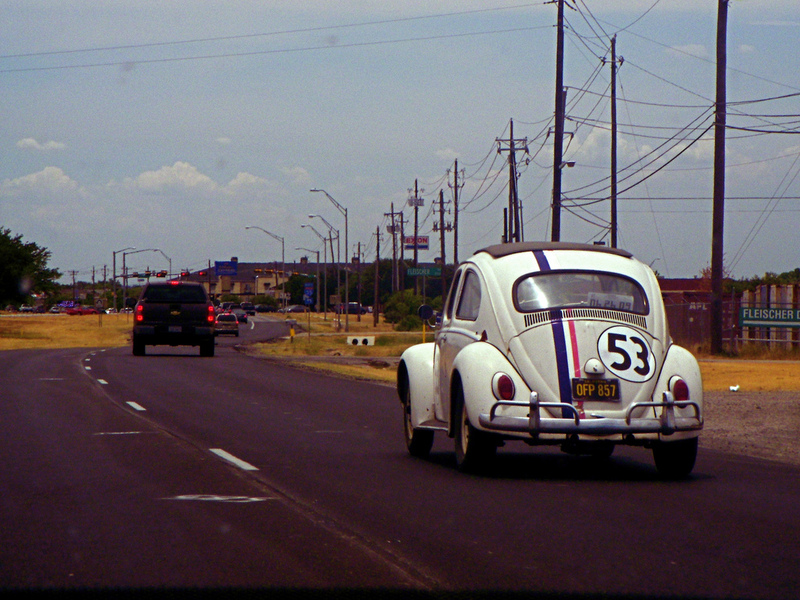 It actually works completely in our favor if all smart machines turn out like Herbie the Love Bug, interested in lending a fender to the down-on-their-luck. Yet the deeper I researched, the more I didn’t think that was the case. Gentle reader, if you believe you can handle the deep philosophical questions, such as whether it’s appropriate to tip a pizza delivery drone five percent, read on. The entire kernel of Fool’s Gold is live on today’s New Mexico Mercury and The KC Post.